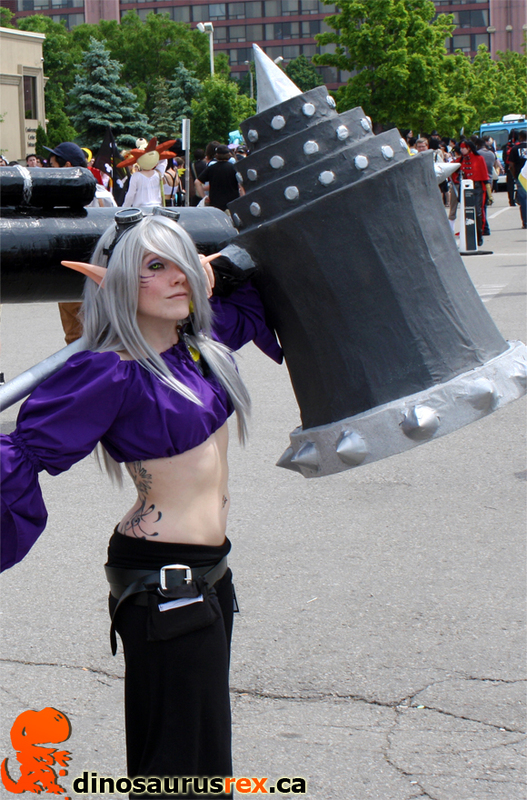 Continuing on from our previous post on Anime North 2012 highlights – Chris and I were absolutely amazed by the quality of costumes we saw at this year’s convention. Having never been to one of these events, I went in with lower than average expectations. I was reminded of when kids used to make ghost costumes by wearing a blanket over their heads. 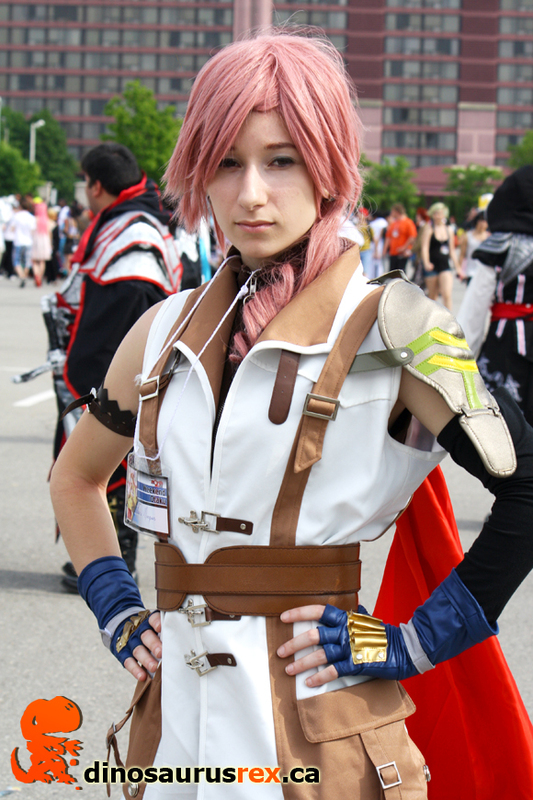 Everyone attending the convention was welcome to show off their favourite cosplay character/outfit, and it seemed like everyone brought their ‘A’ game – this truly was a fan run convention. Therefore, in the interest of fairness, I have rated the following top 10 girls at Anime North 2012 on not only their immediate wow factor, but also how well they played their character with matching persona and charisma… OK, let’s be serious here, there was a lot of pretty talent! See for yourself and let us know if you agreed with our decision. Pink haired cutie – you win! I’d like to thank everyone for stopping to talk and pose for Dinosaurus Rex… personally speaking, it’s all of your guys’ enthusiasm and talent that make these events fun for us to cover and enjoy. Don’t forget to join our Facebook Page for more photos. Haha I love the pictures they are very funny xd In which country were these made ?